What Is RenHe Bio Feedback? It is no secret that for most people, feeling refreshed, energized, and well rested in the morning is a priority, especially because we all know how hectic and stressful everyday life is these days. Unfortunately, although a priority, a good night’s sleep is not something everybody gets. Snoring is undoubtedly one of the most common reasons for this. However, people do not have to let it ruin the quality of their lives. With such a big selection of fantastic anti-snoring products, people can definitely do something about it. Today, we present our RenHe Bio Feedback review, which provides you with details about this unusual snoring aid. 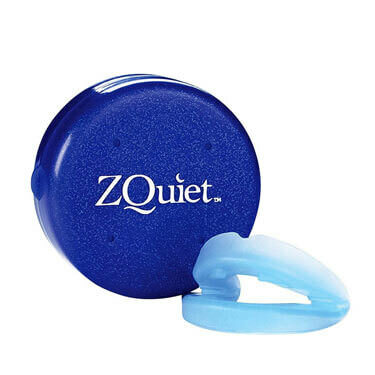 This product is ranked #3 on our Best Alternative Snoring Aids list. 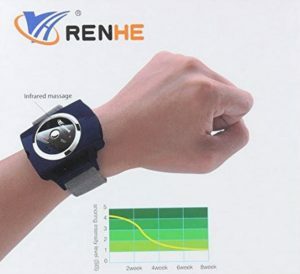 RenHe Bio Feedback Stop Snore, also known as RenHe Snore Stopper for short, is a wristband that snorers are supposed to wear during the night. It is actually a revolutionary anti-snoring device designed to help people reduce the intensity of their snoring. The reason we say that the device is revolutionary is that it utilizes a very specific mechanism of action that is completely different from other anti-snoring solutions. Namely, it relies on your body’s natural biofeedback mechanism. It contains a bioelectronics chip, or biosensor, which gets activated when snoring is detected. Immediately after that, the device transmits a pulse signal to the nerve center, thus leading to something that the manufacturer calls reflective shrink adjustment. Put more simply, when snoring is detected, the device reacts by basically giving you a little shock, which should, in theory, reset your CNS and your body so that you stop snoring or that you start snoring less loudly. Snoring frequency, as well as snoring volume, should be reduced without disturbing the snorer, which makes it a non-invasive solution that does not include any side effects that may be harmful to users. The maximum results are said to be achieved after a prolonged use, typically after about 8 weeks or so. The manufacturer says that their device can lower a person’s Snoring Intensity Level from 4.15. to 2.3. 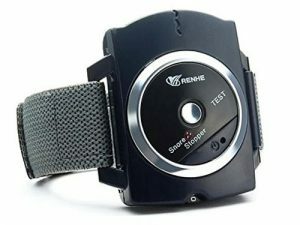 When you order RenHe Snore Stopper, the package includes one snore stopper (which is the ‘watch,’ or the actual device, to be precise), one pack self-adhesive Electrode Pad (which acts as the facilitator in sending pulse signals), one flexible hook wrist-belt (which is used to put the device around the wrist), a screwdriver (used for securing the battery), and a user manual. 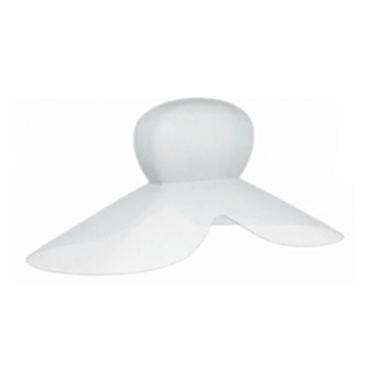 RenHe Snore Stopper is very different from other anti-snoring solutions for two main reasons. It is a medication-free solution that does not include any dangerous side effects, as already mentioned in this RenHe Bio Feedback review. In addition to this, it is more comfortable to wear in comparison to other devices that are inserted into the mouth or the nose or worn around the head. RenHe Snore Stopper did not really amaze us. First of all, there is the assembly process that can put to test even the most Zen of people. Furthermore, it often does not register that snoring has begun or it confuses bedtime conversation with snoring. Also, the “zapping” is not really as non-invasive as it is advertised. If you are a light sleeper, there is a chance these little shocks will wake you up. Also, the batteries run out quickly. Given that the majority of anti-snoring solutions are generally not expensive, it does not come as a surprise that RenHe Snore Stopper can be bought for $14.95, which is quite affordable for most people, especially those who are interested in newly designed products and ready to give them a try. If you are still unsure if RenHe Bio Feedback Stop Snore is right for you, check out the key advantages and flaws of this snoring aid. All in all, our RenHe Bio Feedback review definitely showed an innovative product, but at this very moment, it feels like it still needs some work. Perhaps in the future when it really becomes non-invasive, it will become the product it is advertised as. Right now, however, there are better solutions out there. Our ratings are the result of an objective and independent evaluation of RenHe Bio Feedback Stop Snore, generating the final rating that reflects the overall quality of the company. Ratings may change as the product introduces changes. 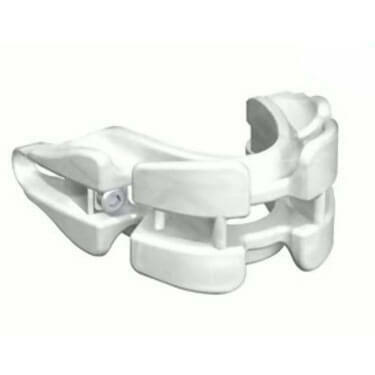 RenHe Bio Feedback Stop Snore user rating based on 6 user reviews. I am still getting used to these little shocks, but my wife says this wristband is making me snore less. I trust her. I don't see the point of this. If I wanted to get woken up every time I snore, I would simply let my wife slap me on the face. I bought my husband this because I thought it might help him stop snoring. Something must be wrong. He keeps snoring and waking me up. My husband bought this wristband as last resort and it sort of works. I mean, he snores less, but he says his sleep has been all but ruined. I don't know. I don't like gadgets and technology. My son bought this wristband that's supposed to stop me from snoring (I think my wife's behind it). It's been a week and I still cannot get the d*** thing to work. I am losing my patience. 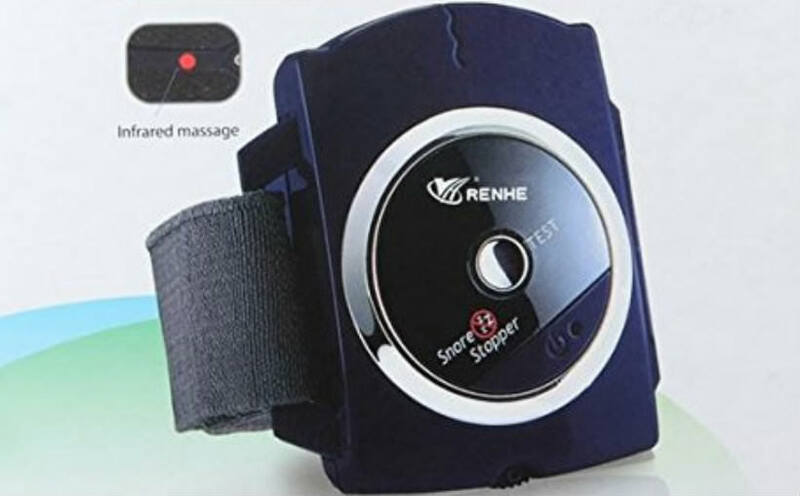 We found 0 verified RenHe Bio Feedback Stop Snore discounts for April, 2019. There are no RenHe Bio Feedback Stop Snore coupons or discounts right now.